No, Tom Welling is not wearing woman's clothes like Michael Rosenbaum did in Sorority Boys, but we've all been waiting to see Tom Welling wear the Superman suit for the past ten seasons of Smallville and we are finally going to see that happen. With this being the final season of Smallville, Tom Welling will definitely get to wear the famous red, blue, and yellow costume. Question is, when? Most speculate it won't be until the last episode airs and others are hopeful it will happen before then. 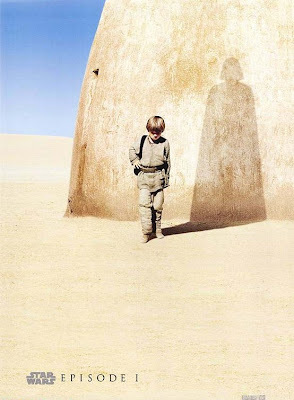 In the meantime, the CW has released this teaser poster (reminiscent of Anakin Skywalker/Darth Vader from The Phantom Menace Teaser poster) of Welling's reflection revealing the Superman persona. I hope the end is more of a full view of the suit and not some quick glimpse. Stay tuned. 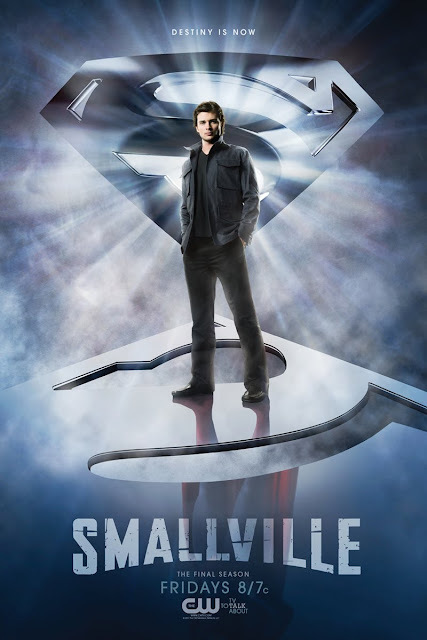 The other half of Smallville's tenth and final season begins January 28, 2011.